I couldnt decide between cranberry yogurt chiffon cake and cranberry buttermilk scones. Cranberry chiffon cake is something i have always wanting to attempt baking since a long time. 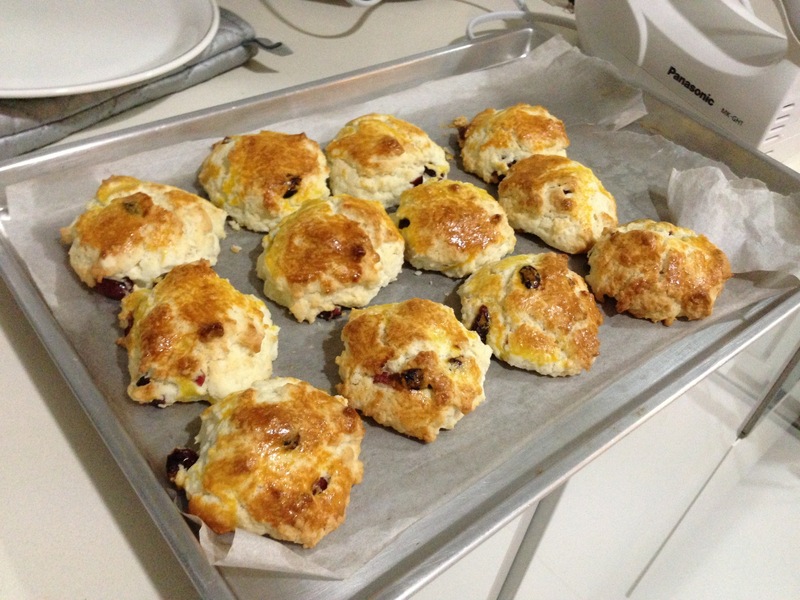 Knowing that Johnny likes to eat scones and i also felt like eating some scones, I decided to bake both in one night. 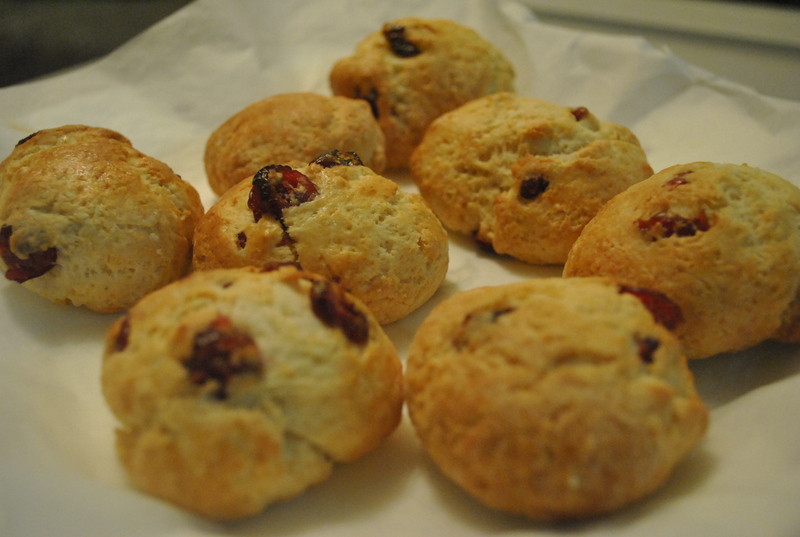 My cranberry buttermilk scones still tasted as yummy as the previous attempt. It certainly is a worthy recipe to keep. Check out the recipe here! 1. Heat oven to 180 degree C. Mix together the flour n sugar. Rb the butter in with your fingertips until the mucture resembkes fine breadcrumbs. Make a well in the centre of the ingredients and tip in the buttermilk all in one go then mix lightly to form a sofy dough. add cranberries and lightly mix. 3. 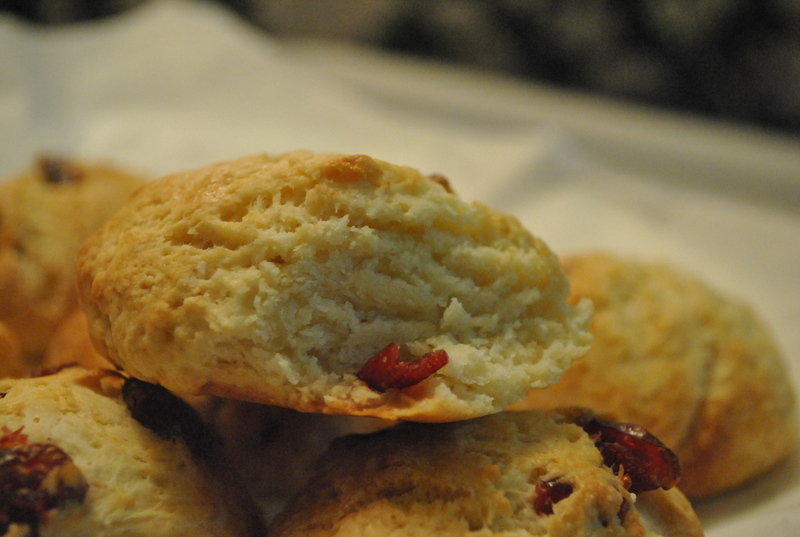 Transfer the scones to a baking sheet. Lightly brush them with beaten egg and bake them for 12-15 mins until risen and lightly golden. 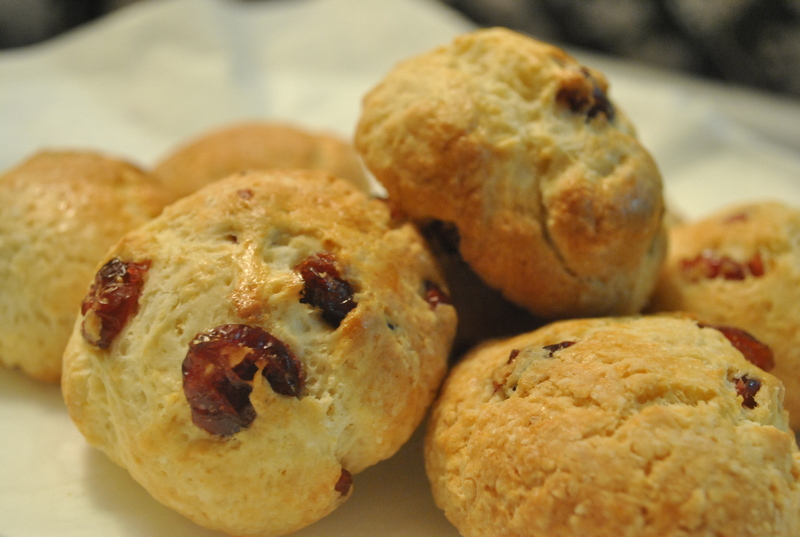 Serve with whipped cream and Jam while it’s fresh and hot from the oven.